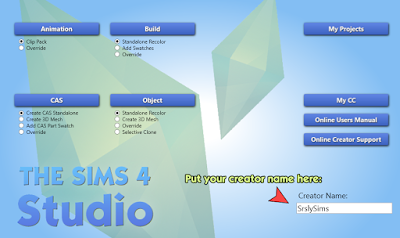 We will be going over the basics of Sims 4 Studio in this tutorial. Including how to install, what programs are needed, general how-to's, and tips. So you can start creating your own custom content for The Sims 4! 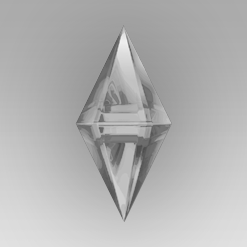 This tutorial was written for Sims Community, and I was asked to share it here! I hope this helps! Please keep in mind that if you are using another version of Sims4Studio some things may be different. Sims4Studio is a user friendly program used to create, manage, and fix custom content and mods for The Sims 4. In this section we will be going over how to install Sims4Studio for Windows! Go to the Sims4Studio website and Sign Up! Registration is required to use their site. Once you have registered and have access to the site you will want to go download the program. Installer - *Recommended - Installs S4S like a normal program on your computer. Zip - Must be unpacked and placed in the correct directories. While you are on that page, also download and install "Blender 2.76". Use the correct bit version for your computer. 64bit or 32bit. You MUST have Blender installed to work with mesh assets in Sims4Studio. After you have installed the program how you would like, you can launch it. In the bottom right hand corner you will see a place to put your "Creator Name". This is a unique name for yourself, which will become a prefix for all of your creations. The program will remember what you put here later, and you can change it at any time. Next go up to the navigation bar and open the "Settings". The program will generate this information by default. 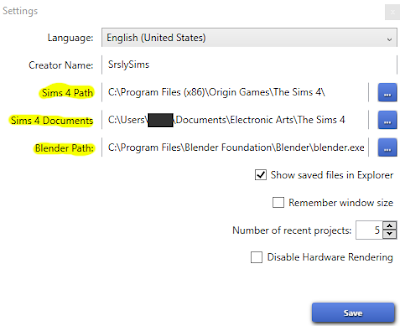 Be sure that the "Sims 4 Path" and "Sims 4 Documents" folder are correct for your particular game instillation. Also check that "Blender Path" is pointing to the version of Blender that works with S4S. (The 2.76 version we installed in Step 2). In this section we will go over the tools and content management items in the navigation window. Including a brief description of what which each item does. Extract Tuning - The tuning files used to create mods. Game File Cruiser - Browse game files to find specific information and resources for an item. String Table Lookup - Find the strings of an items text information. Hash Generator - Create hash numbers for custom modding. Color Palette - Save a preset color palette to use for color swatches. Create Empty Package - Creates a empty .package file with no assets. 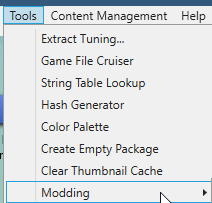 Modding - Many useful tools to use while creating mods. Merge Packages - Merge multiple .package files to combine them into one .package file. Un-Merge Package - Un-merge a merged .package file into seperate .packages. Batch Fixes - Many different commands to fix content that is broken quickly. Screenshot Manager - Browse, name, and add memories to screenshots. 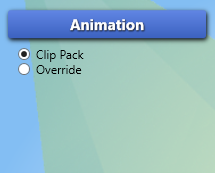 The animation button is used to create custom poses. You can currently make two types of poses. Clip Pack - Create a new pose/pose pack to use with Pose Player. 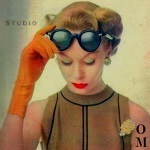 Override - Override an existing CAS trait or Gallery pose with a custom pose. 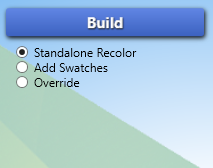 The build button is used to create custom build mode items. Such as wallpaper, flooring, roof patterns, foundation, and terrain paint. Standalone Recolor - Creates a standalone clone of the item selected. Add Swatches - Add more swatches to an existing build item. Override - Creates a default replacement override of an existing build item. 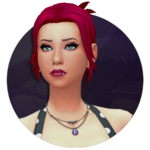 The CAS button is used to create custom create a sim content. Such as clothing, makeup, hairs, and more. Create CAS Standalone - Creates a standalone clone of the selected item. Create 3D Mesh - Creates a standalone clone, and includes all mesh data of the selected item. 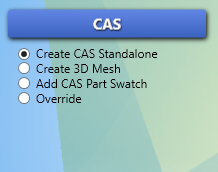 Add CAS part Swatch - Add more swatches to an existing CAS item. Override - Creates a default replacement override of an existing CAS item. The object button is used to create custom buy mode content. Such as furniture, decor, lighting, plants, and more. Standalone Recolor - Creates a standalone clone of the selected item. Override - Creates a default replacement override of an existing buy mode item. 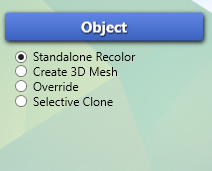 Selective Clone - Creates a standalone clone of the selected item, and you can pick and choose which assets you need for your creation. The my projects button is used to open up existing packages. 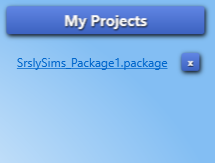 After you have opened a .package in Sims4Studio, a quick list will generate under this button. By default only 5 creations will be listed. If you want to show more than 5 you can do so by changing the "Number of Recent Projects" in the main navigation "Settings". If you no longer want to show a project in the recent list, you can click the 'X' at the end of the line. The my cc button is used to quickly navigate through your currently installed custom content. It will load all of the content in your Sims 4 Mods Folder. Using this feature you are able to quickly and easily change tags, rename items, and browse the .package information of all your content. Below are important and useful links to help you learn to create some amazing custom content and mods for The Sims 4. Thank you for sharing this helpful tutorial! Thank you so much, I was really struggling to understand how to use the s4s! i'm finally beginning my newest venture in creating custom content!